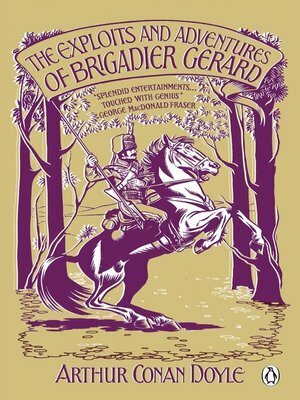 There is no braver officer in Napoleon�s cavalry than �tienne Gerard � especially in his own opinion. Whether kidnapped by gangs of brigands or outnumbered by enemy troops, the plucky little soldier is constantly gallant, chivalrous and ready to face any danger, even if he doesn�t always think before he acts. With great gusto Gerard recounts the swashbuckling exploits and adventures of his glittering military career � carrying out secret missions for Napoleon, eluding capture by the Duke of Wellington, making a daring break from an English prison, rescuing ladies in distress, duelling to the death against the dastardly Baron Straubenthal and even saving the day at the Battle of Waterloo.